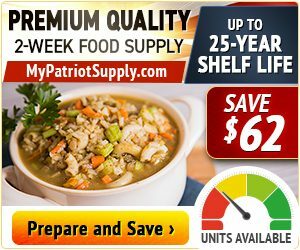 May 30, 2018 London, England – Two thousand years ago, the Paracas culture of Peru with their very long skulls had descendants in Palpa and Nazca, who created more than 1,600 mysterious straight lines and geoglyphs on the tops and sides of Palpa hills and on the flat Nazca Plain 32 miles southeast of Palpa. The Nazca Plain has over 800 straight lines, 300 geometric figures and 70 plant and animal shapes. Nazca is 250 miles south of Lima, Peru. 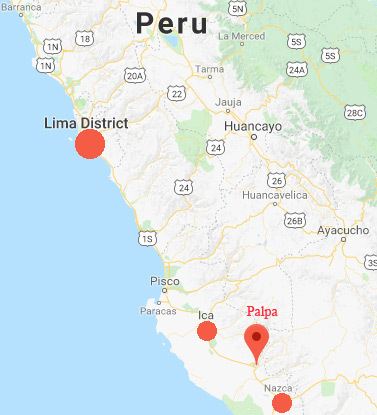 Palpa is 33 miles northwest of Nazca. Ica is 60 miles northwest of Palpa and Paracas on the Pacific Ocean is 102 miles northwest of Palpa. The puzzling geoglyphs are impressed some 20 inches into the ground surfaces and most can only be seen clearly from the air. Which is why they were not discovered until 1939 when airplane flights over the region were first possible. Though not as famous as the Nazca Lines on the dry Peruvian coastal plain 250 miles (400 km) south of Lima, there are even more geoglyphs in Palpa dated as far back as 1000 years older than the Nazca lines and glyphs. The enigmatic Palpa geoglyphs include many very straight “runways” that extend for long distances. Long, straight “runway” in Palpa, Peru. Aerial from Hiddenincatours.com. 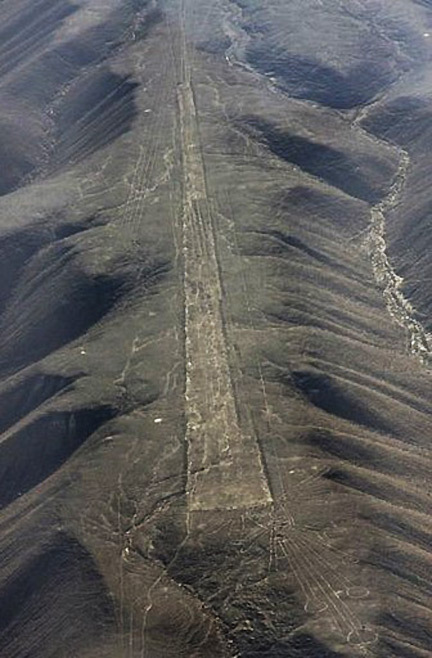 No one knows exactly why nearly 2,000 geoglyphs and runways were imprinted on the land and hills of Nazca and Palpa so long ago. But grave robbers known as huaqueros have persistently explored the Palpa/Nazca region for tombs and treasures. There is allegedly a huge black market involving lots of money in which these “professional” grave robbers can get all sorts of artifacts secretly out of Peru to buyers in China, Japan, Europe, the U. S. and beyond. Allegedly this is possible because some officials in the Peruvian government take a cut of the transactions and then strict customs laws about not allowing Peru’s ancient archaeological finds to leave the country seem to evaporate before the large secret money flow to get those precious treasures, especially those made of gold. 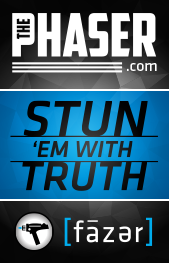 In addition to grave robbers, there are YouTubers that look for ways to get headlines for their own money flow of click throughs on the web. 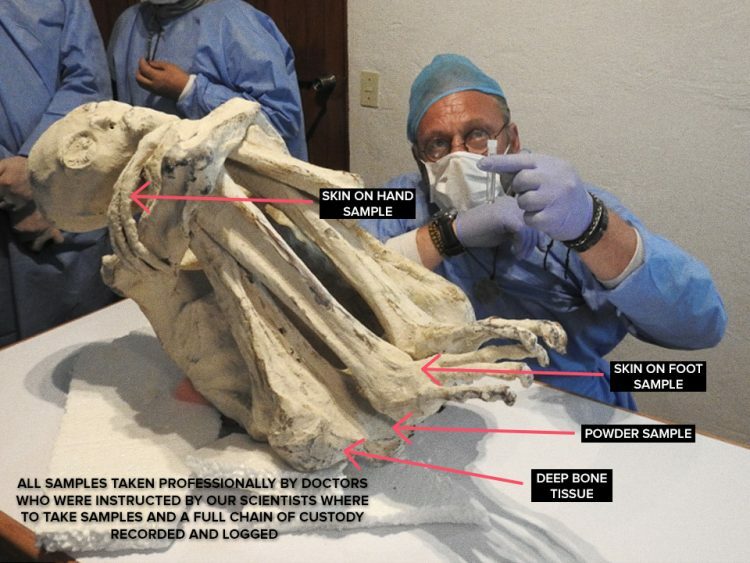 On October 6, 2016, a Peruvian YouTuber named Paul Ronceros appeared on a local TV program in Peru to report about an “alien” or “reptilian mummy” with three fingers and three toes that he learned had been found by huaqueros. Word kept spreading that several highly unusual 3-fingered bodies large and small had been found in a cave or underground tomb and that at least one was a female body that had been inside a heavy stone sarcophagus. 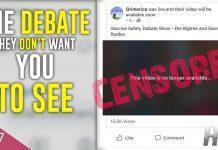 What the video showed was a hairless, long oval-skulled head with large eye sockets and small, flat nose all covered in white powder. She had 3 very long fingers on each hand and 3 very long toes on each foot. Each of her fingers has 6 joint bones instead of the 3 joint bones in normal human hands. Her body is doubled up with her arms clasped around her legs, perhaps as she was found in the sarcophagus in the cave tomb. Dubbed “Maria,” she is estimated to be 4’9″ to 5’2″ if her folded body were extended. Is there any world history of 3-fingered beings? 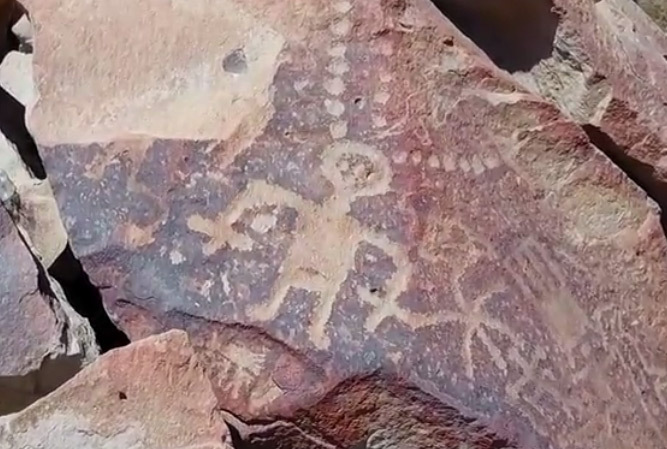 Not a lot, but Gaia TV found the shard below of a local petroglyph that shows a humanoid with arms extended on either side attached to 3-fingered hands. 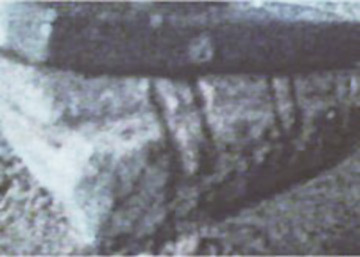 Gaia TV crew videotaped at Inkari Institute in Cusco in June 2017, and were shown and photographed this rock shard with 3-fingered humanoid depicted. Image © 2017 by Gaia TV. Analysis of the white powder proved it to be white diatomaceous clay of lime-carbonate and silica diatomite from hills in the Pisco/Palpa/Nazca/Ica region that once were the bottom of the sea before a great land uplift millennia ago. That sea bottom was dense with dead oceanic unicellular shells and algae referred to as diatoms in white, chalky layers that were pushed up by Earth movements into some of the hilly Peruvian landscapes. Female head of “Maria” with large eye sockets covered with white diatomaceous Earth for preservation. Image © 2017 by Barry Fitzgerald / Zohar Entertainment Global Group, London. 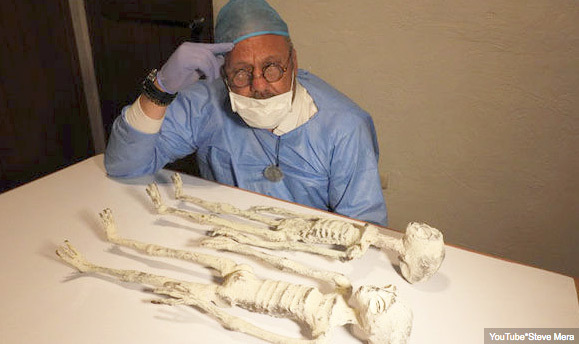 In early July 2017, Gaia TV videotaped at Inkari Institute in Cusco, Peru, as the institute’s president, Thierry Jamin, examined the female body of unknown origin that has 3 fingers and 3 toes, ear holes only (no surface ears), teeth, large eye sockets and elongated head that might genetically link to the ancient Peruvian Paracas culture 1,800 to 2,000 years ago. Image © 2017 Gaia TV. 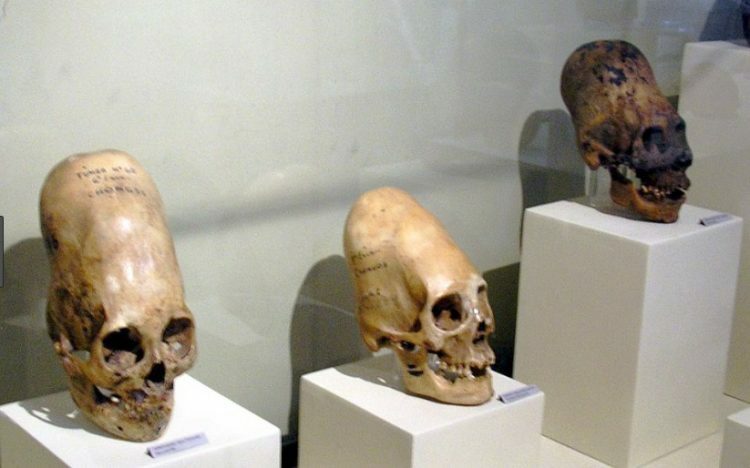 Image courtesy Paracas History Museum’s room of 40+ elongated skulls in Paracas, Peru. The female body has been carbon dated to 1,800 years ago. She might have watched the Palpa and Nazca geoglyphs being made and knew the reasons why. The grave robbers also said they found twenty small artificial bodies about 2-feet-long in a second stone sarcophagus and that some were allegedly scattered through rooms and interconnecting tunnels of the large underground tomb. There is speculation that the doll-like artifacts were made as idols fashioned after the large female body. Steve Mera, Phenomena Magazine, London, gowned and masked during examination of the small bodies similar to the large female Maria. These small entities were determined to be artificially constructed, perhaps as idols of whatever power Maria carried in life. Location was unknown to Steve and Barry because they were secretly taken to an unidentified site and deliberately blocked from seeing where they traveled. Image © 2017 by Barry Fitzgerald/ / Zohar Entertainment Global Group, Glastonbury. Quickly upon hearing the Gaia TV news, Stephen Mera and Barry Fitzgerald from PhenomenaMagazine in London traveled from the U. K. on July 14, 2017, to the Nazca / Cusco region to investigate further themselves. In addition to Maria, they were allowed to also videotape a second body that was like a smaller baby or child version of Maria and called “Wawita.” Less than two months later, Steve and Barry with Zohar StarGate TV released on August 24, 2017, their documentary from their July research efforts entitled The Mysterious Bodies of Peru. “Baby Wawita,” in addition to Maria, was presented by the Inkari Institute in Cusco to Steve Mera and Barry Fitzgerald for video and DNA sampling in July 2017. 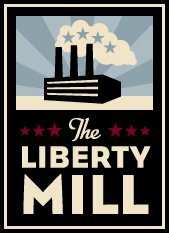 Image © 2017 by Barry Fitzgerald / Zohar Entertainment Global Group, Glastonbury, England. After that Zohar Entertainment documentary video release, I talked with both Steve and Barry by phone in September 2017, about their goal to get credible genetic scientists to analyze DNA samples from Maria and Wawita. Steve said he hoped to have first results by May 2018, and that he would contact me then to do an interview for Earthfiles and COAST radio about the DNA analysis. We begin with what Steve Mera saw for himself of Maria’s body, another smaller Maria-like body and some photographs that had been taken inside the cave or underground tomb. Late July 2017, Stephen Mera, Founder of Phenomena Magazine from Manchester, England, during DNA tissue extractions from the female body Maria. Steve is also Chairman of Manchester’s Aerial Phenomena Investigation Team; Founder of the Scientific Establishment of Parapsychology; and co-investigator with Barry Fitzgerald of August 24, 2017, YouTube documentary The Mysterious Bodies of Peru © 2017 by Zohar StarGate TV, Glastonbury, England.Stephen Mera, Founder of Phenomena Magazine in Manchester, England; Chairman of Manchester’s Aerial Phenomena Investigation Team; Founder of the Scientific Establishment of Parapsychology; and co-investigator with Barry Fitzgerald of August 24, 2017, YouTube documentary The Mysterious Bodies of Peru © 2017 by Zohar StarGate TV, Glastonbury, England: “We were shown some photographs of the location, of the cave, inside the location of the sarcophagi. We were also shown that the cave structure was very large. Some areas allegedly opened up into very large rooms. There was also something like a library or archive in there. But we were too afraid to go there, Linda. We were being threatened. People were watching us. WHAT DID YOU SEE IN THE PHOTOS? The photographs showed inside the cave using a flash. However, there was also a Faraday (cage) mesh had to be used over the video devices because the magnetic anomalies were very high, affecting the equipment. Photographs showed this sarcophagi, which did have some unusual markings, carvings around it — lettering of some sort around its sides. Stephen Mera, U. K.’s Phenomena magazine, said this was one of the photographs he and his colleague Barry Fitzgerald were shown in Peru last July 2017. 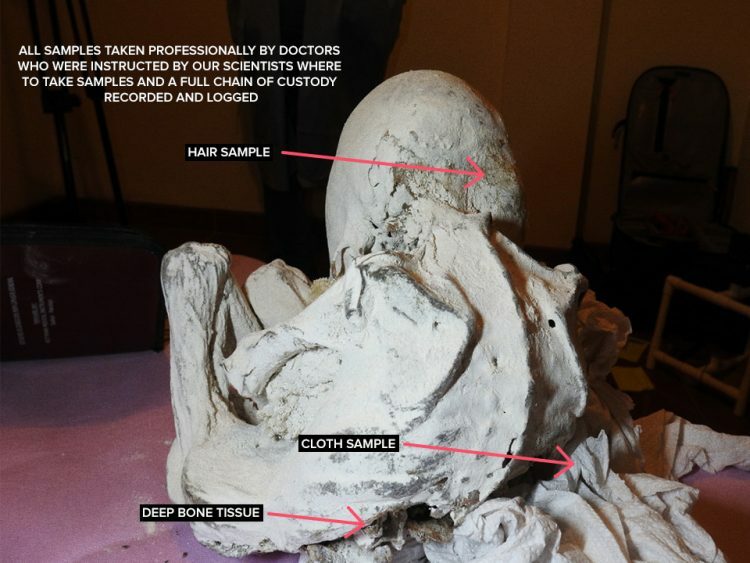 The image was described as a heavy stone sarcophagus with carved markings around it, photographed in the original cave or underground tomb in which Maria, Wawita and many artificial 29-inch-long “doll idols” were discovered in 2016 by grave robbers. And the lid on this was stone. It did look quite weighty and they said they needed to get a carjack to lift the weight of the top part of the sarcophagi stone. The whole place was covered with diatomaceous earth. Some of the bodies were buried in diatomaceous earth. 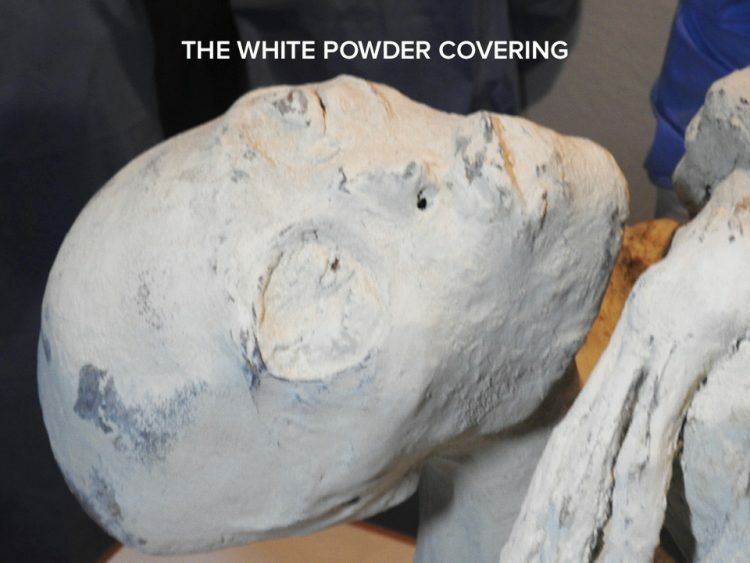 THAT IS THE WHITE POWDER AND THAT HAS ALSO PROVOKED THE QUESTION — WHERE IS WHITE, DIATOMACEOUS EARTH IN PERU THAT COULD HAVE COVERED THESE BODIES? THE ONE PLACE THAT I’VE HEARD ABOUT IS A MOUNTAIN IN THE PALPA TO ICA REGION. IS THAT TRUE? That is correct, yes. There is a second location, which is what is referred to as the White Mountains. The region was all underwater at the bottom of the sea millions of years ago. And as it pushed up, the tectonic movement and brought the evidence with them of the bottom of the ocean, creating this diatomaceous earth.